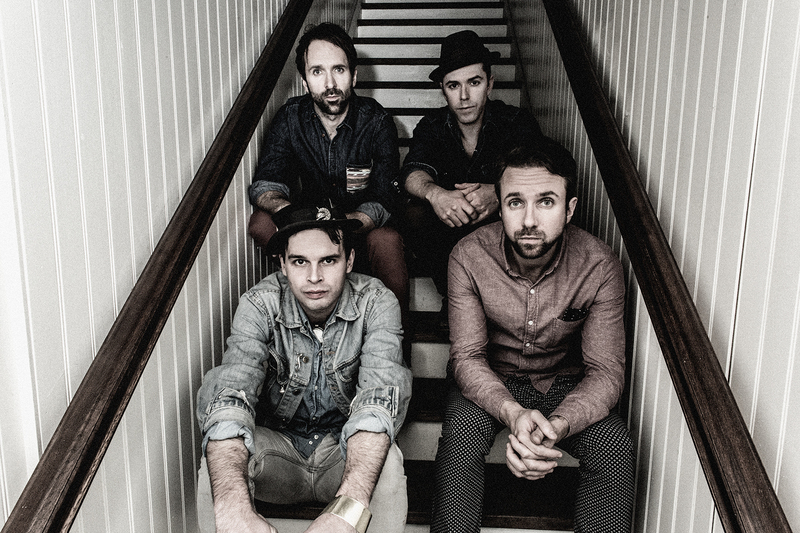 It has now been more than 10 years since Atlantic Canadian natives The Trews burst onto the national and international scene with their debut record House Of Ill Fame. Fast forward 11 years, five full-length records and supporting slots for the likes of Kiss, The Rolling Stones and Bruce Springsteen, The Trews latest record, a self-titled effort, shows the leaps and bounds and maturity that their experience has lent to their songwriting. For your new record, you undertook a successful Pledge Music campaign. Given the proliferation of crowd-sourcing campaigns, were you at all concerned about perhaps being lost in the shuffle? Honestly, we did have initial trepidations about undertaking a crowd-sourcing campaign as we didn’t want to make it look as though we were begging for money. We ended up meeting with the head of Pledge Music who really drove home how we could make it a positive, fan-club kind of experience. He really encouraged us to be creative with what we were having people pledge on to help make the fans feel a part of making the record right from the outset. You guys ended up surpassing your goal which must have felt like a nice boost of confidence, that people still wanted to hear what you had to say. The entire campaign was really fun and actually quite flattering. We have a lot of great people supporting the band. People bid on everything from Skype meetings with the members of the band to an acoustic house concert. The fact that the band means so much to people makes us eternally grateful to be able to do what we do. How do you keep the spark going among you after 10 years of seemingly non-stop touring and recording? When you are on the road 250 days a year together, it is not always easy to share ideas but we eventually find common ground. We are good at knowing when we are all fired up about an idea. But we have also learned to give each other space as well. We try to stay out of each other’s way because having a big blowout among us is not good for anybody. Everyone in the band has a hand in everything we do. It is a bit like a dysfunctional democracy [laughs].